This is a colossal old map of Liverpool which is entirely different from the other old maps on this site. Instead of a top-down view, this is a panorama that sees Liverpool at an angle. Maybe the artist was aboard his hot air balloon (it’s been done! ), or was simply trying to come up with something different. Either way, we’re given an amazing and possibly unique view of the Merseyside Docks in the early Victorian period. Despite the odd angle, the places shown have a massive level of detail and accuracy. There might be some vertical stretching, but you can look at the Customs House, Albert Dock or the Town Hall and every column and window is present. The Collegiate and London Road’s statue of George III are all shown exactly as they are in real life. There is even detail of Birkenhead, with Woodside and Monk’s Ferry marked next to Hilliar’s Monks Ferry Hotel. On the river we see paddle steamers and square-rigged ships. The docks in Liverpool are packed with masts, which is how the docks would have looked at the time. At the finest level of detail on this old map of Liverpool are the people and cranes on the dock side. Some are sitting on bales or trunks, while others carry poles or tools of their trade. At Brunswick Dock we can see cargo being loaded into ships. Because this is such an old map, Liverpool is shown as a small town, surrounded on all sides by countryside. Apparently ‘rural’ features come into the town too, with windmills standing in Everton, around William Brown Street and Islington. In keeping with the shallow angle, fields are shown fading into the distance, and a handful of old houses are visible in the ‘mist’. In all, this old map of Liverpool is an amazing achievement. Whoever drew it was painstaking in their detail, and this is the nearest many parts of Liverpool came to be photographed at this time. 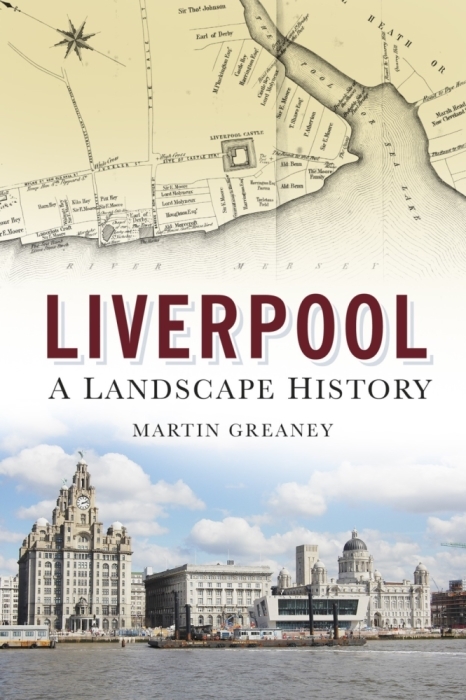 Whilst all the maps have some use to the family historian, this one might be the one which gives you the greatest insight to walking the streets of Liverpool. You can see your ancestors at work in the dock, and their vessels on the river. Maybe they owned a small hotel or pub. If you’re lucky, it might be visible on here as a distinct building, even if it’s not labelled. The churches that they visited will be shown on this map (if they existed at this time) and you’ll be able to compare the architecture with sister places of worship. Where could I find photos of Beaumont Street in the 1950’s to 60’s? Thanks for any help. I used to live there in either 24 or 26, on the south side of the road. I recall the road surface was cobbled, my Dad rode a bike on them with me on the crossbar, the bump of the cobbles was terrible, it shook you to pieces, when you got off you could hardly stand, I was about 7 years old. Is it possible to buy a copy of Ackerman’s panoramic view of Liverpool 1847, please? If you’d like a different size to the one here then just reply to this and I can get you a quote.